The RL-B series of crack magnifiers are some of the highest quality measuring magnifiers that you can find, available in 6x, 8x and 10x magnification. Shown here is the RL-B-6. 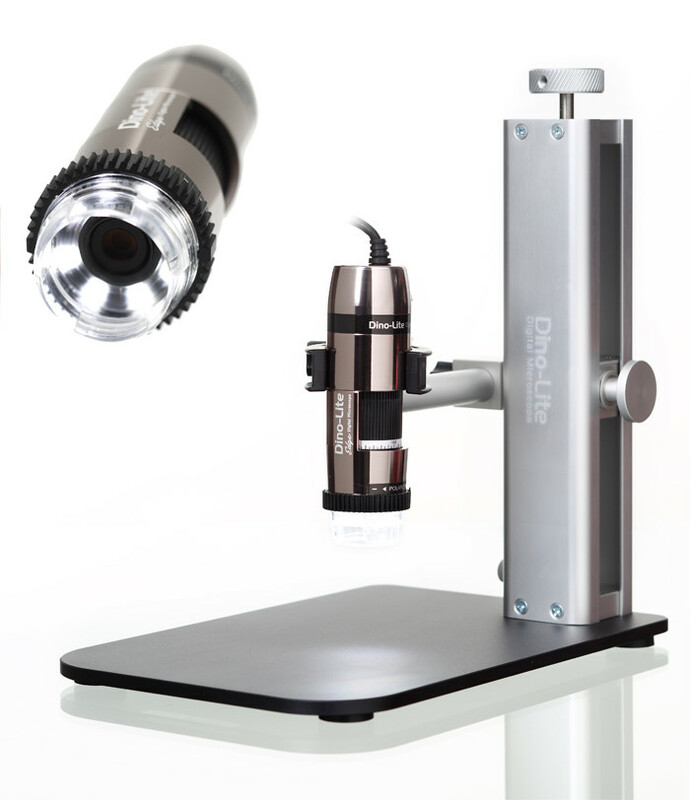 As with the basic crack magnifier, RL version, the 0.1 mm graduation (brass reticule plate with matt chrome finish and laser engraving) is positioned at an angle of 30° in the base. This measuring instrument can be focussed with its height-adjustable lens systems (sliding focus). This crack magnifier is particularly suitable for inspection and measurement in the metal processing industry where the metal scale is superior to a glass scale, which can scratch easily. The angled layout ensures good light incidence while preventing reflection when the light is bright, making the scale very easy to read off. The limit for metal graduation is approx. 40 µm. if desired remeasurement is possible. This crack magnifier is preferred by technicians and appraisers in the construction field for measuring the width of cracks in concrete. The ocular can be removed from the holder for inspection without contact. The scales are available separately as replacement parts. The lenses in the 6x and 8x RL-B crack measuring magnifiers consist of two aplantically arranged plano-convex optical glass lenses. The RL-B-10 is special, being produced using one achromatic (two lens glued together) and two single lenses. This makes the 10x crack magnifier apochromatic. An apochromatic lense system, found in the RL-B-10, combines the high edge definition of a aplanatic lens with the chromatic aberration correction of an achromatic lens, making it particularly suitable for reproducing the true colour of an object while guaranteeing a very good, distortion-free image. It also provides a greater working distance and significantly better light conditions. These higher quality lenses are also the reason for the jump in price from the 8x to 10x version. A special feature of both the RL-B-6 and RL-B-8 versions, is that the lenses provide an 8° angular view of the graduation. By comparison the RL-B-10 has a vertical view. On all three magnifiers the inside of the stand base has a matt white finish to ensure uniform light distribution. The stable metal housing construction guarantees a long service life for these measuring magnifiers.